At Dentist WA Canning Vale, we provide expectant mothers with the information that they need to promote healthy teeth for their growing child. 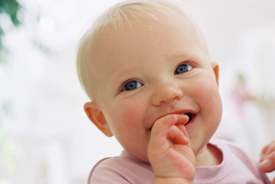 By your child’s first birthday, it’s time for their first dental check-up as well. From preventative cleanings to protective dental sealants, our goal is to help your child avoid everyday tooth decay and have a strong smile that will last years into adulthood. As your child becomes familiar with the dental office environment, we provide them with the information and preventive care that they need to avoid everyday problems like cavities, toothaches, and bad breath. We help your child make smart choices about nutrition, home hygiene, and habits that affect the development of their teeth. Should your child require restorative care, we can help by providing the care that they need with the comfort that they deserve. By scheduling routine dental evaluations, our dentists are able to pinpoint problems while they are simpler and easier to correct. Going to the dentist should be enjoyable, not something that your child fears. Call us today to learn more about creating a positive impact on your child’s future smile.